Going to the beach is exciting. But it can also be busy. And loud. Sand can feel hot or itchy or sticky...and it gets everywhere! 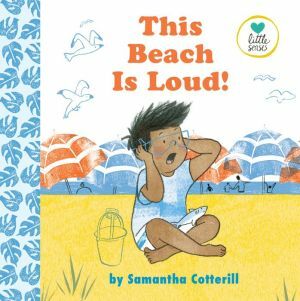 In This Beach Is Loud!, a sensitive boy gets overwhelmed by all the sights, sounds, and sensations at the beach. Luckily, this kiddo's dad has a trick up his sleeve to help his son face these unexpected obstacles.